Avoid custody battles -- save time, money and grief. Working out a fair and realistic child-custody agreement is one of the most difficult tasks for parents going through a divorce or separation. Building a Parenting Agreement That Works is the only book to show separating or divorcing parents how to overcome obstacles and create win-win custody agreements. The groundbreaking classic, now revised, updated and expanded, covers the legal, financial and emotional realities of creating two happy and stable homes for children in the often difficult and confusing aftermath of a divorce. 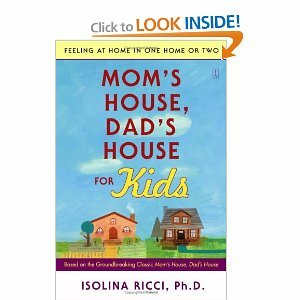 This book helps parents in the aftermath of divorce learn to sustain a healthy co-parenting relationship. “Conflict and Parenting” explores parental conflict and its effects on children, conflict resolution, and the importance of forging a co-parenting relationship. “Co-Parenting Guidelines” offers specifics for solving day-to-day problems, disciplining, and handling conflict during transitional times and special events. Forensic psychologist and high-conflict divorce specialist Philip M. Stahl, Ph.D. presents Parenting After Divorce: Resolving Conflicts and Meeting Your Children's Needs, now in a revised and updated second edition. Grounded firmly in real-life experience rather than overly idealistic assumptions, Parenting After Divorce covers how to amicably share custody, the importance of keeping the child out of the middle of conflict, the need to take care of oneself (or else one will be in no shape to look after children), dealing with the courts, and much more. Real-world examples help to clarify the key points discussed in this highly accessible and enthusiastically recommended advice guide for divorced parents everywhere. "Crucial" conversations are interpersonal exchanges at work or at home that we dread having but know we cannot avoid. How do you say what needs to be said while avoiding an argument with a boss, child, or relationship partner? Crucial Conversations offers readers a proven seven-point strategy for achieving their goals in all those emotionally, psychologically, or legally charged situations that can arise in their professional and personal lives. Based on the authors' highly popular DialogueSmart training seminars, the techniques are geared toward getting people to lower their defenses, creating mutual respect and understanding, increasing emotional safety, and encouraging freedom of expression. We're constantly negotiating in our lives, whether it's convincing the kids to do their homework or settling million-dollar lawsuits. For those who need help winning these battles, Roger Fisher has developed a simple and straightforward five-step system for how to behave in negotiations. Tongue Fu! is a handbook for verbal self-defense that provides dozens of real-life, constructive alternatives to giving a tongue lashing or to being tongue-tied. Tongue Fu! is destined to be a classic!" --Jack Canfield, co-author of Chicken Soup for the Soul. If you haven't been someone's Target of Blame, you will be soon. According to author Bill Eddy, blaming others is increasing in societies around the globe and there's a pattern in this blaming behavior, driven by people with certain personalities - perhaps 15% of our society. Though it's a growing problem he also believes it is a predictable one, and a problem that can be managed in most cases with more understanding - and doing the opposite of what you feel like doing! Bill Eddy is an author and international speaker to Mediators, Attorneys, Judges, Therapists and others. The Art Science and Technology of Negotiating, is a book that is current, practical, easy-to-read and gives you new tools and strategies that you will be able to put into practice the tactics immediately and close the deals you want, whether at home or at work. You be able to master how to prepare for negotiations, how to control the negotiating process and how to close a win-win deal, just like all successful negotiators while growing sustainable relationships without selling out. Divorce is painful and confusing. Perhaps now more than ever, you want to give your child all the love, support, and guidance he or she needs, but everything seems harder and more complicated. Helping Your Kids Cope with Divorce the Sandcastles Way can help. Based on Gary Neuman's phenomenally successful Sandcastles program, which has helped more than fifty thousand children cope with divorce. Is there really such a thing as a good divorce ? Determined to uncover the truth, Elizabeth Marquardt herself a child of divorce conducted, with Professor Norval Glenn, a pioneering national study of children of divorce, surveying 1,500 young adults from both divorced and intact families between 2001 and 2003. In Between Two Worlds, she weaves the findings of that study together with powerful, unsentimental stories of the childhoods of young people from divorced families. Experts report that the divorce rate among children of divorced parents is fifty-seven percent, as opposed to only eleven percent for children of married parents. Your parents’ relationship greatly influences your core beliefs about marriage as an institution. With this guide, learn that the effects of divorce are neither permanent nor defining. Evaluate the level of dysfunction in your parents’ divorce and find ways to avoid the long-term conflicts that led to the breakdown of their marriage. Master healthy boundary-setting skills and communication techniques. Let go of guilt, pain, and anger; find out how to forgive your parents. Discover new ways to enrich your own relationships. Sheds light on the odd but surprisingly common disorders of personality. Psychologists Johnson and Murray tell us why so many of us are attracted to personality disordered partners, and offer strategies for detecting and avoiding such potential disasters. They also offer hope for readers already in committed relationships with personality-impaired partners, with healthy survival strategies and tips for making the relationship more livable. Contents include: The Weird Partner Detection and Survival Guide; Personality Disorders 101: Understanding Weird Partners; How Could I be Attracted to PDPs? Why We Pick The Mates We Do is an interactive book that begins with an easy-to-take Selection Test that is guaranteed to give you the most amazing insight into the real reasons you have selected or rejected your past and present partners and predict how your current relationship will turn out before you get married. If you have ever been unable to find the kind of relationship partner you really want, don't settle for less or give up altogether. 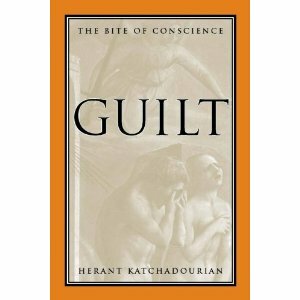 Guilt: The Bite of Conscience is the first book to study guilt from a wide variety of perspectives including those of psychology, psychiatry, psychoanalysis, evolutionary psychology, anthropology, six major religions (Judaism, Christianity, Islam, Hinduism, Buddhism, Confucianism), four key moral philosophers (Aristotle, Kant, John Stuart Mill, and Nietzsche), and the law. Katchadourian first explores the ways in which guilt functions within individual lives and intimate relationships, looking at behaviors that typically induce guilt in both historical and modern contexts. He then turns to the way the capacity for moral judgments develops within the individual lives and through evolutionary processes, taking up both normal and pathological (whether excessive or inadequate) manifestations of guilt. This fascinating investigation into what makes abusive men tick is alarming, but its candid handling of a difficult subject makes it a valuable resource for professionals and victims alike. 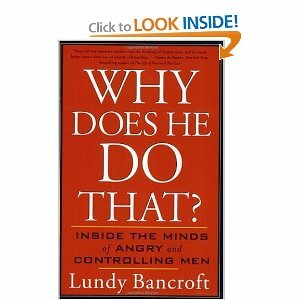 Bancroft, the former codirector of Emerge, the nation's first program for abusive men, has specialized in domestic violence for 15 years, and his understanding of his subject and audience is apparent on every page. "One of the prevalent features of life with an angry or controlling partner is that he frequently tells you what you should think and tries to get you to doubt or devalue your own perceptions and beliefs," he writes. "I would not like to see your experience with this book re-create that unhealthy dynamic. So the top point to bear in mind as you read [this book] is to listen carefully to what I am saying, but always to think for yourself." He maintains this level of sensitivity and even empathy throughout discussions on the nature of abusive thinking, how abusive men manipulate their families and the legal system and whether or not they can ever be cured. Jargon-free analysis is frequently broken up by interesting first-person accounts and boxes that distill in-depth information into simple checklists. Bancroft's book promises to be a beacon of calm and sanity for many storm-tossed families.